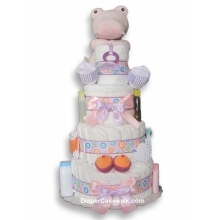 Our Gentle Giraffe Diaper Cake makes an impressive showing whether it's given as a baby shower or after birth baby gift. Standing more than 26" tall, this amazing diaper cake is meticuously made by Silly Phillie with wonderful layette items for a newborn baby girl. 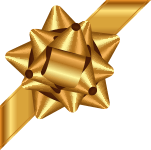 Your gift will be made to order in the USA and presented as shown in photo. Clear cello gift wrap will be added as the final finishing touch.